TravelWeekly, TripAdvisor, Southern Living, Expedia, Fox Sports and More! The city of New Orleans and New Orleans & Company (formerly the New Orleans CVB) have been recognized nationally for excellence. View a complete list of city accolades and New Orleans & Co. awards below. 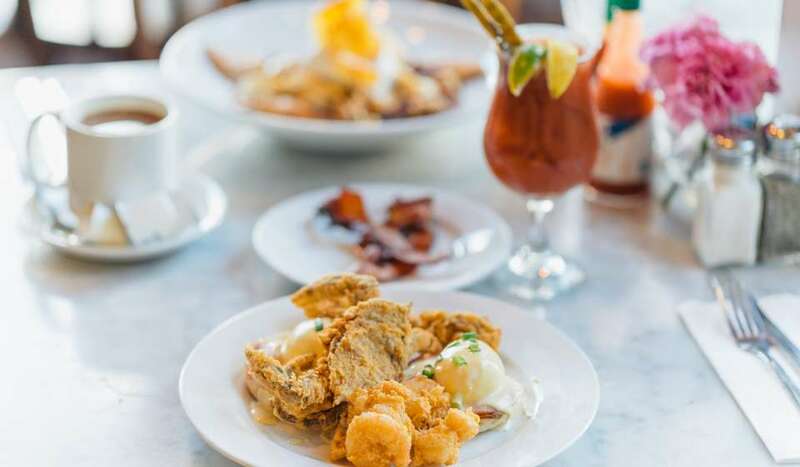 Southern Living named New Orleans the #3 city in "The South's Best Cities 2019" and the #2 city in "The South's Best Food Cities 2019", March 2019. AFAR featured New Orleans on their "Where To Go In 2019" list, January 2019. Smarter Travel named New Orleans one of "The 10 Best U.S. Cities to Visit in 2019", December 2018. Forbes included New Orleans on their list of "The 38 Cheapest Places To Travel In 2019", December 2018.
Business Insider featured New Orleans on their list of "The 3 best places to travel every month of 2019", December 2018. Fodor's included New Orleans on their "Fodor's Go List 2019", November 2018. 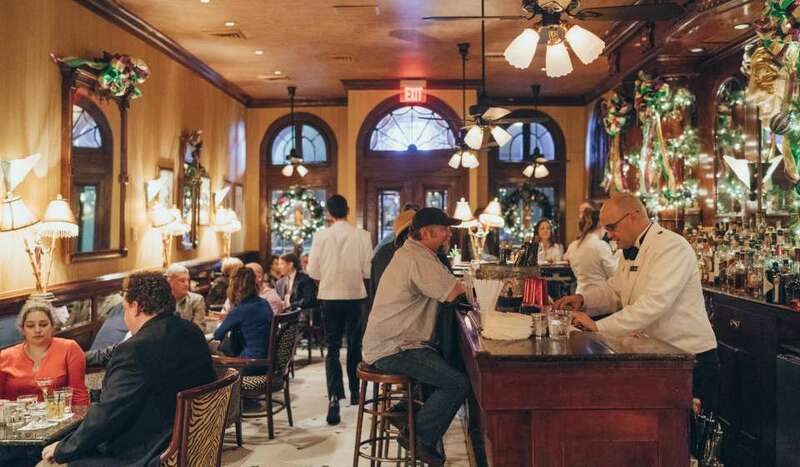 Southern Living named New Orleans the #3 city in "The South's Best Cities 2019" and the #2 city in "The South's Best Food Cities 2019"
The New Orleans School of Cooking's classes were named the Number 2 experience in the United States and the Number 6 experience in the world on the first-ever TripAdvisor Travelers' Choice Awards, June 2018. The Irish Times included New Orleans in their list of "52 Places to Visit in 2018", January 2018. Expedia's Viewfinder Travel Blog has named New Orleans in the "18 Cities that Must be Seen in 2018", January 2018. New Orleans was named one of Zagat’s “30 Most Exciting Food Cities in America,” December 2017. Fodor's Travel listed New Orleans on their “Go List” as one of their 52 destinations to visit in 2018, November 2017. Garden & Gun named New Orleans one of the South’s 10 Best Food Towns in their October/November 2017 issue. Galerie Magazine has named the Besthoff Sculpture Garden in New Orleans City Park one of the "World's 10 Most Beautiful Sculpture Parks", August 2017. Food & Wine named New Orleans one of the Best Food Cities in the World in their July 2017 issue. Travel + Leisure named New Orleans the No. 4 City in the United States for the fourth consecutive year in Travel + Leisure’s World’s Best Awards 2017. Conde Nast Traveler has named New Orleans' hotel, The Ace Hotel one of the "Best New Hotels in the World," April 2017. TripAdvisor has named New Orleans one of the "Top Value Cities for an Epic Getaway," April 2017. Southern Living has named New Orleans' restaurant, Commander's Palace, the "South's Best Restaurant", March 2017. Expedia Viewfinder has named New Orleans one of the "Most Creative Places in America" as a part of their list of America's Most Artistic Towns, March 2017. Trivago has named New Orleans the number two "B&B Destination for Valentine's Travel" in the world, February 2017. Fox Sports has named New Orleans the "Number One Super Bowl Host City", February 2017. Travel + Leisure has named New Orleans one of "America's Most Charming Cities", January 2017. TripAdvisor named New Orleans one of the "20 Best Girlfriend Getaways You Can Take Without a Passport", January 2017. The Louisiana Travel Promotion Association (LTPA) awarded the New Orleans CVB's work in sponsoring U.S. Travel's IPW as the winner of the Major Event of the Year Louey Award. Redfin named New Orleans one of the Top 25 "Best Neighborhoods to See Holiday Lights," December 2016. TravelBird named New Orleans one of "2016&apos;s Most Inspiring Cities," November 2016. The Culture Trip named New Orleans one of the "10 U.S. Cities that take Halloween Very Seriously," October 2016. WalletHub has named New Orleans one of "2016&apos;s Most Fun Cities in America," September 2016. Architectural Digest named New Orleans hotel, the Bourbon Orleans, one of the "Top 10 Most Haunted Hotels in America," September 2016. Chicago Line Cruises has named New Orleans one of the "Top 25 Coastal Cities in the World," September 2016. TripAdvisor has named the National WWII Museum No. 4 Museum in the United States, No. 11 in the world, September 2016. Travel + Leisure has named New Orleans "No. 2 Best City for Culture in the U.S.," September 2016. Travel + Leisure has named New Orleans "No. 1 City for Food in the U.S.," August 2016. New Orleans was named one of "2016&apos;s Top Labor Day Destinations" by HotelPlanner.com, August 2016. Elle UK named New Orleans one of the "Top 5 Music Destinations in the World," August 2016. New Orleans named No. 1 city for International Visitor Growth in 2015, August 2016. Condé Nast Traveler named New Orleans No. 9 on the list of "Friendliest Cities in the U.S.," August 2016. New Orleans has been named one of the "World&apos;s Best Cities" by Travel + Leisure, July 2016. Travel + Leisure named New Orleans No. 2 on its rankings of "The Best Cities in the U.S.," July 2016. U.S. News and World Report named New Orleans the No. 4 "Best Affordable Destination in the USA," June 2016. SmartAsset.com named New Orleans the No.1 city on its "Top 10 Cities for Creatives" list for the second year in a row, June 2016. Cvent.com named New Orleans one of the "Top 50 Meeting Destinations in the United States," May 2016. New Orleans was named one of the "11 Best Cities in the U.S. for Live Music" by Matador Network, May 2016. New Orleans was named one of "America&apos;s Favorite Cities" by Travel + Leisure, May 2016. New Orleans was named a "2016 Family Travelers&apos; Rising Star Destination" by Gogobot.com, March 2016. TripAdvisor named New Orleans one of the "2016 Traveler&apos;s Choice Top 25 U.S. Destinations," March 2016. New Orleans was ranked number three on TravelSquire.com&apos;s "Top 28 Hot Destinations 2016," February 2016. New Orleans was named number one on TripAdvisor&apos;s list of the "7 Best Family Getaways in America," January 2016. The Young Leadership Council (YLC) named Cheryl Teamer, Senior Vice President of Public Affairs for the New Orleans CVB, a 2016 YLC Role Model. The Louisiana Travel Promotion Association (LTPA) awarded the New Orleans CVB as the winner of the Outstanding Convention and Bureau/Tourist Commission of the Year (budget from $750,000 and higher), announced January, 2016. The New Orleans Press Club's 2016 Excellence in Journalism Awards awarded the New Orleans CVB several awards, including honors for website, community relations and special events. Website awards include FIRST PLACE in Public Relations to the New Orleans CVB staff's COOLinary New Orleans Restaurant Month. Community Relations awards include SECOND PLACE in Public Relations to the New Orleans CVB staff's New Orleans Will campaign. Special Events awards include THIRD PLACE in Public Relations to the New Orleans CVB staff for National Travel & Tourism Week. Tara Letort, Director of Group Public Relations for the New Orleans CVB was awarded the 2016 Millennial Award for Hospitality & Tourism. Kim Priez, Senior Vice President of Tourism for the New Orleans CVB was named the 2016 City Business Woman of the Year. New Orleans was named one of the "10 Most Exciting Cities in the World" by TheCultureTrip.com, December 2015. The Washington Post ranked New Orleans one of the "10 Best Food Cities in America," December 2015. AFAR magazine named New Orleans the number one "Most Visited Destination across the Globe of 2015," December 2015. New Orleans was awarded Corporate and Incentive Travel's "Award of Excellence," recognizing the city as an ideal meeting space, December 2015. Louisiana was named number one on YouCaring.com's list of the "Top 10 Most Compassionate States," December 2015. Smartasset.com ranked New Orleans as one of the "Top Ten Cities for Outdoor Enthusiasts," December 2015. New Orleans was named one of the "20 Best Places to Celebrate New Year's" by Fodor's Travel, November 2015. Readers of Condé Nast Traveler ranked New Orleans number five on the magazine's list of the "Best Big Cities in the U.S.," October 2015. New Orleans has been named one of the "12 Cities on the Rise" by PCMA Convene magazine, September 2015. Readers of Travel + Lesiure named New Orleans one of the "World's 30 Friendliest Cities," August 2015. New Orleans was named number one on Travel + Leisure's list of "America's Best Cities for Festivals," July 2015. SmartAsset.com named New Orleans number one on its list of the "Top Ten Cities for Creatives," July 2015. New Orleans was named the number one "Top 10 Road Trip Destinations for Summer" by TravelPulse.com, July 2015. New Orleans has been named the second-best "World's Best City" in the U.S. and Canada category by readers of Travel + Leisure, July 2015. New Orleans was named one of the "Most Affordable Cities for a Summer Escape" by TripAdvisor.com, June 2015. TripAdvisor.com named New Orleans the number one "Highly-Rated U.S. City for Vacation Rentals," April 2015. New Orleans was named one of the "Friendliest Cities in America" by Travel + Leisure, April 2015. Travel + Leisure named New Orleans one of "America's Best Cities for Sweet Tooths," April 2015. New Orleans was named one of the "America's Best Cities for Music Scenes" by Travel + Leisure, April 2015. Men's Journal named New Orleans one of the "10 Best Places to Live Now," April 2015. New Orleans was named one of the "Top Vacation Spots in the U.S." by ListsForAll.com, March 2015. New Orleans was named the number one "Best Drinking City in America" by Thrillist.com, March 2015. SmartAsset.com named New Orleans one of the "Most Interesting Cities in America," March 2015. Airfare to New Orleans is among the most affordable in the nation according to a report by the Bureau of Transportation Statistics, March 2015. New Orleans was named one of the "Top 10 Travelers' Choice Destinations in the U.S." by TripAdvisor.com, March 2015. New Orleans was named the number one "Quirkiest City in America" by Travel + Leisure magazine, March 2015. Travel + Leisure named New Orleans one of "America's Best Cities for Food Snobs," March 2015. Condé Nast Traveler has named New Orleans the number one "U.S. City for Business Travelers," February 2015. Ebony magazine named New Orleans one of its "14 Top Travel Spots for 2015," February 2015. New Orleans was named a "Top U.S. Destination" for travel in 2015 by users on Mashable.com, February 2015. New Orleans was named one of the 10 Most Popular Valentine's Day 2015 Destinations by Priceline.com, February 2015. TripAdvisor.com named New Orleans one of the top "13 Destinations to Book Your Next Adventure," February 2015. The New York Times named New Orleans one of its "52 Places to Go in 2015," January 2015. New Orleans was named one of the Top 15 Destinations for 2015 by Explorica.com, January 2015. Momondo.co.uk named New Orleans the best emerging budget travel destination on its calendar for March of 2015. Expedia Media Solutions named the New Orleans CVB's partnership with the Travelocity Roaming Gnome in spring of 2015 the "2015 North American Most Innovative Campaign of the Year," noting an integrated social media campaign and interactive landing pages, December 2015. Stephen Perry, President & CEO of the New Orleans CVB, was awarded the French Quarter Business Association's Ambassador Award for funding the French Quarter Task Force since May 2015 and onward, and contributing to the quality of life and business in the French Quarter. Stephen Perry, President & CEO of the New Orleans CVB, was honored by New Orleans CityBusiness for his superb job of rebuilding the tourism industry in New Orleans, post-Hurricane Katrina. New Orleans CityBusiness celebrated 35 years of publishing award-winning, in-depth local business news and to mark the anniversary, CityBusiness honored 35 business leaders who had made significant contributions to our community over the past 10 years. The New Orleans CVB was selected as the winner of the 2015 HRC Louisiana Gala Community Leader's Award. Under Stephen Perry's leadership, the CVB was recognized as a leader in rebuilding tourism in New Orleans after Hurricane Katrina, during the BP oil spill and most recently as the industry stood shoulder to shoulder in the fight against House Bill 707. Stephen Perry, President & CEO of the New Orleans CVB, was included in the Young Leadership Council's (YLC) 2015 Role Model class, which is composed of business and civic leaders from our community who distinguish themselves as Role Models by actively contributing to the betterment of the Greater New Orleans region and by serving as an example, not only to YLC's young professional members, but also to the community at large. Tara Letort, a Certified Meeting Professional (CMP), the Director of Group Public Relations of the New Orleans CVB, was awarded the Forty Under 40 Award by Association Forum of Chicagoland and USAE. This prestigious award recognizes emerging leaders in the nonprofit and association industries under the age of 40 who demonstrate high potential for success in leadership roles and exhibit a strong commitment to the association management profession. Tara was chosen from hundreds of nominees and is the only 2015 honoree from a destination marketing organization (DMO) in the public relations role. Tara Letort - Director of Group PR of the New Orleans CVB, and Vicki Bristol - Communications Manager of the New Orleans CVB, won awards at the Public Relations Society of America (PRSA) New Orleans 2015 Fleurish awards banquet. Tara Letort, CMP, was awarded the Reaching New Heights award. This is a new award for a PRSA board member who pushed the board to think big and reach for audacious goals. She reached new heights in breaking attendance records and bringing a panel of the most respected and reputable names in the hospitality industry together to commemorate Katrina 10. Vicki Bristol, Accredited in Public Relations (APR) by PRSA, was awarded the Individual Award of Excellence. This honor is awarded to PR professionals in New Orleans who have exemplified excellence in the PR industry, contributed to their company's culture, growth, bottom line or innovation, impacted the community through involvement in regional organizations and has shown a consistent, high degree of original thinking in their field. Lonely Planet named New Orleans one of its "Best in the U.S. 2015" destinations, December 2014. New Orleans was named the "Friendliest Homeport" as part of Porthole Cruise Magazine's Editor-in-Chief Awards, December 2014. Rough Guides named New Orleans one of the Top 10 Cities to visit in 2015, December 2014. 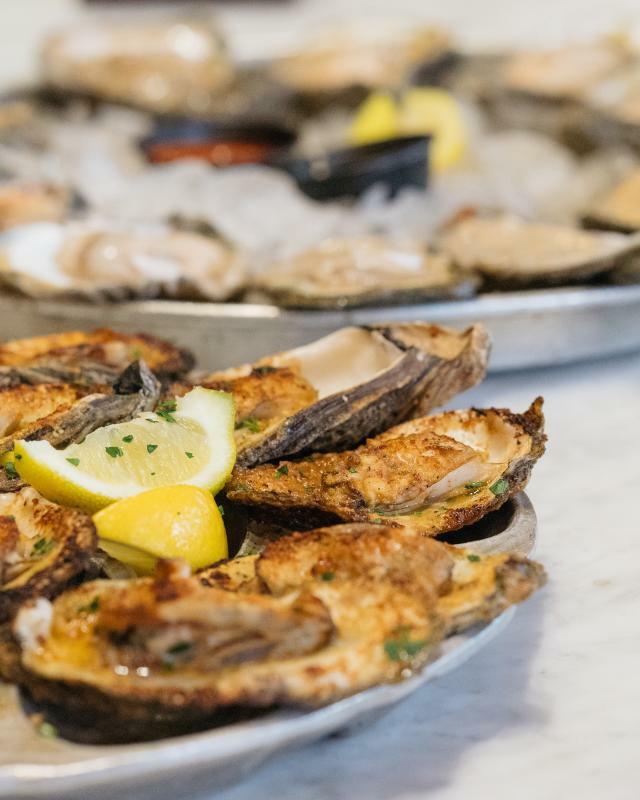 New Orleans was named the number one U.S. City for Food by Thrillist.com, December 2014. Destination Weddings & Honeymoons named New Orleans one of the top 20 "Best Wedding Destinations of 2015," December 2014. ConventionSouth magazine named New Orleans the "Most Meeting Friendly" destination in the southern United States, as voted by readers, December 2014. New Orleans was named number seven in GOOD Magazine's 2014 GOOD City Index, which ranks cities by their inspiring nature and possibility, November 2014. New Orleans was named the Best Home Port in North America by Cruise Critic in their 2014 US Editors' Pick Awards, November 2014. New Orleans won top honors in Travel + Leisure's America's Favorite Cities list, ranking number one in the "Festivals," "Notable Restaurants," "Historical Sites" categories and more, October 2014. Conde Nast Traveler named New Orleans one of the Top 25 Cities in the World, one of only five U.S. cities to make the list, October 2014. Men's Health Magazine named New Orleans the seventh Friendliest City in America, September 2014. ConventionSouth Magazine named New Orleans one of the South's Top 10 Music Cities for Meetings and Events based on reader and fan votes, August 2014. New Orleans was named the Best Culinary Destination in the small domestic category by SaveurMagazine, August 2014. Cvent named New Orleans one of the Top 10 Meeting Destinations in the United States, August 2014.
Business Facilities magazine ranked New Orleans the 5th best city for Economic Growth Potential and Louisiana the number one Best Business Climate in the USA, August 2014. New Orleans was named the 5th Friendliest City in the U.S. by Conde Nast Traveler, August 2014. Travel + Leisure readers name New Orleans a World's Best City, one of only two American cities to make the list, July 2014. 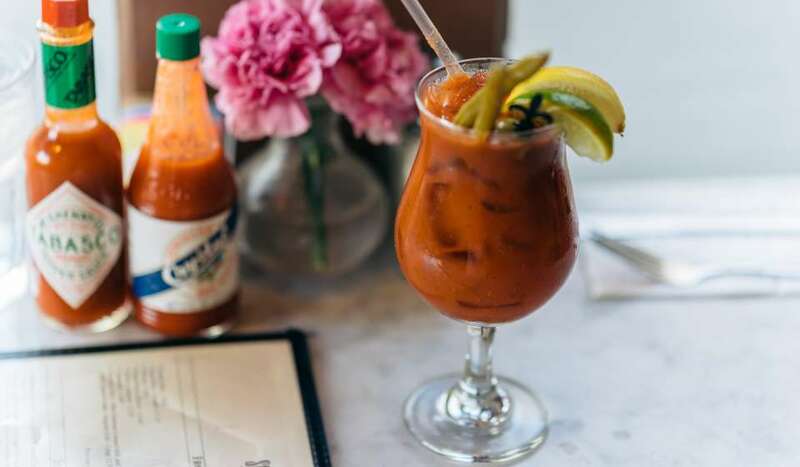 Thrillist.com ranks Louisiana the fourth best state in the U.S. for its signature food and drinks, July 2014. New Orleans was voted one of the Best Convention Cities, selected by readers of USA Today and 10Best, June 2014. Travel & Teach named New Orleans one of its Top 10 Emerging Student Destinations, May 2014. Travel + Leisure readers name New Orleans America's Best City for Night Owls, May 2014. Travel + Leisure readers name New Orleans America's Best City for Girlfriend Getaways, May 2014. Forbes recognized New Orleans as one of America's New Brainpower Cities, April 2014. Conde Nast Traveler names New Orleans fifth among Best American Cities for Foodies, April 2014. The city of New Orleans is the fifth most popular travel destination in the United States in TripAdvisor's 6th annual Travelers' Choice Awards for Destinations. The Big Easy moves up five spots from last year's No. 10 finish in the poll, April 2014. Among Priceline.com hotel guests, New Orleans was the 7th most-cited U.S. city for its romantic charm, February 2014. Nerdwallet.com, a financial website, named New Orleans one of the Top 10 Best Cities for Singles, February 2014. New Orleans was voted one of the 10 Best Romantic North American Getaways, selected by readers of USA Today and 10Best, January 2014. Coastal Living magazine included a visit to New Orleans as one of "Six Trips That Will Change Your Life", February 2014. Glamour magazine named New Orleans as a Top 10 Bachelorette Party Destinations in 2014, January 2014. In the January issue of Food & Wine, the magazine polled its readers for their picks. The "clear favorite" for top dining city was New Orleans, January 2014. Australia's Flight Centre named New Orleans as one of their Top Destinations 2014. New Orleans is the only city in the United States to make this list, January 2014. National Geographic Traveler places New Orleans on its Best Trips 2014 list. According to Travel + Leisure readers who have visited the city, New Orleans tops the list in categories such as Live Music Scene, Happy Hour, People-Watching, Wild Weekends, Cocktail Lounges and more in their 2013 America's Favorite Cities survey, November 2013. Travelocity's travel experts named New Orleans as the Top National Halloween Destination. The travel outlet mentions New Orleans' ghost tours, elaborate costume balls, Krewe of Boo and haunted hotels as the reason why New Orleans is the top destination in the world for Halloween, October 2013. Condé Nast Traveler placed New Orleans on its highly coveted Top 10 Cities in the United States Readers' Choice Awards, receiving the highest marks for culture, atmosphere and restaurants, October 2013. Saveur magazine's Culinary Travel Awards 2013 named New Orleans as the Reader's Choice for Restaurants and Dining, and gave Outstanding Mention for Cocktails and Drinks Culture, October 2013. Bourbon Street was named one of the winners of the Iconic American Streets in 10Best Readers' Choice travel award contest by USA Today, October 2013. New Orleans was named one of the 10 Best cities for Families by Family Vacation Critic, part of the TripAdvisor® family, September 2013. New Orleans received top honors at the 2013 World Travel Awards for excellence in sports tourism. For 20 years, the World Travel Awards has rewarded and celebrated excellence in the tourism industry with the input of distinguished travel professionals and consumers that represent more than 170 countries around the world, September 2013. Orbitz named New Orleans one of the top 10 Labor Day destinations for 2013, August 2013. TripAdvisor® named New Orleans one of the Top Travelers' Choice Destinations in the U.S. and Canada, based on millions of traveler reviews and opinions, July 2013. Priceline.com announced that New Orleans' French Quarter is the Most Popular Destination for July 4th, July 2013. New Orleans was selected as the Best Large City in AAA Southern Traveler's Best of the South reader poll, July 2013. TripAdvisor® ranked New Orleans among the most affordable cities in the U.S. for domestic travelers based on one night's accommodation, dinner for two, cocktails and a taxi ride, June 2013. New Orleans was named one of the 20 Best Cities in America to be Young, Broke and Single, MoneyUnder30.com, June 2013. TripAdvisor®, the world's largest travel site, announced the 2013 Travelers' Choice Destinations awards and New Orleans placed under the Top 25 Travelers' Choice U.S. Destinations, May 2013. New Orleans named a Top Summer Destination in the 2013 Gogobot Travelers' Favorite Awards. The Top Summer Destinations are chosen based on the opinions of over 2.5 million members worldwide, May 2013. New Orleans awarded Silver in Favorite Big City Destination and Gold for Favorite Culinary Destination by National Tour Association, April 2013. Trade Show News Network announces New Orleans is number five of the 2012 Top Trade Shows in the United States by net square footage, April 2013. Just in time for Valentine's Day, Orbitz named New Orleans as the third Sexiest City of 2013, February 2013. Fodor's editors placed New Orleans in the Top 25 Places to Go in 2013, January 2013. ABC Travel Guides for Kids named New Orleans in their list of Top Seven U.S. Family Destinations for 2013, January 2013. For the second year in a row, Southern Living named New Orleans as one of the "Tastiest Towns in the South," January 2012. The Meetings Magazine's Corporate & Incentive Travel announced the New Orleans Convention and Visitors Bureau one of 2014's Standout CVB's. TravelAge West announced that New Orleans has been recognized by their award-winning editorial team for inclusion in the 2013 Western Agents' Vote of Excellence (WAVE) Awards. New Orleans was nominated for the Destination with the Highest Client Satisfaction, March 2013. The Huffington Post named New Orleans as one of the 20 Best New Year's Eve Celebrations, December 2012. Newsweek names Mayor Mitch Landrieu one of the five most innovative mayors in America, December 2012. New Orleans was named the winner of the Groups Today Readers' Choice Awards for the southern region, December 2012. Yahoo! announces New Orleans is in the top 10 in the annual tally of top destination searches of 2012, December 2012. Away.com, a division of Orbitz.com, names New Orleans a Top Holiday Getaway for a Foodie, December 2012. CNN Travel placed New Orleans in the Top Eight World's Truly Romantic Cities, November 2012. According to Travel + Leisure readers who have visited New Orleans, New Orleans tops the list as America's Favorite City 2012 Overall, as well as the Top City for: Cafes, Music Scene, Girlfriends Getaway, Antique Stores, Local Pride, Happy Hour, People-Watching, Wild Weekends, Singles Scene, Street Performers, Flea Market and New Year's Eve, November 2012. The city of New Orleans received a World Tourism Award for its outstanding accomplishments in the travel industry, November 2012. New Orleans is chosen as the Best Southern Destination Line in the 2012 Groups Today Readers' Choice Awards, October 2012. Conde Nast Traveler's Readers' Choice Awards place New Orleans in the Top 10 Cities in the United States, October 2012. Away.com, a division of Orbitz.com, names New Orleans one of The Five Most Affordable U.S. Cities for Travelers, September 2012. Away.com, a division of Orbitz.com, names New Orleans among the Best City for Bachelorette and Bachelor Parties, September 2012. New Orleans was named a "Top City in the U.S. and Canada" in Travel + Leisure's 2012 World's Best Awards, July 2012. New Orleans' French Quarter named One of the Top 20 Places Every American Should See by The Palm Beach Post, July 2012. Kiplinger named New Orleans as the Best City for Retirees, July 2012. New Orleans named a Top 10 shopping destination by Germany-based publication AMERICA Journal, June 2012. Travel + Leisure named New Orleans as the best U.S. city for shopping, based on consumer experience, June 2012. TripAdvisor ranked New Orleans among the most affordable cities in the U.S. for domestic travelers based on one night's accommodation, dinner for two, cocktails and a taxi ride, June 2012. AAA Southern Traveler's Annual Best of the South issue named New Orleans as the Best Large City for a Weekend Getaway for the third consecutive year, June 2012. New Orleans ranked in TripAdvisor's 2012 Top 25 Travelers' Choice World Destinations and in its Top 25 Travelers' Choice U.S. Destinations, May 2012. Travel Weekly named New Orleans one of "America's Best Cities for Hipsters," April 2012. Southern Living Magazine named New Orleans one of the Tastiest Towns in the South, March 2012. Yahoo! Travel named New Orleans one of America's Best Cities for Dating, February 2012. American Airlines and GayCities named New Orleans a top pick for the world's best gay cities of 2011, February 2012. New Orleans CVB President and CEO Stephen Perry received a World Travel Market Globe Award. Perry was honored for his instrumental role in restoring the city as a tourism destination following Hurricane Katrina, and his tireless work to return New Orleans to its position as premiere destination through planned events, safe guarding and creating thousands of travel and tourism jobs in the process, November 2012. NewOrleans4Agents.com, a website developed by the New Orleans CVB for travel agents to become certified on how to sell New Orleans as a premiere destination, received the 2012 Travel Weekly Magellan Gold Award, October 2012. Meetings and Conventions has consistently honored the New Orleans CVB for excellence since 1984. Now the New Orleans CVB is renowned as a Hall of Fame inductee for Gold Service recognition. Successful Meetings magazine presented the New Orleans CVB with 2012 CVB, DMO, and Tourist Board award. The New Orleans CVB was ranked one of the top CVBs in the South Eastern United States, marking the 21st time the CVB received this honor. Corporate & Incentive Travel magazine recognized New Orleans CVB for Distinctive Achievement. Superior service and support, promotional assistance, and coordination and liaison with local attractions are a few of the qualities readers recognized as exceptional in New Orleans. Smart Meetings magazine presents a 2012 Platinum Choice Award to New Orleans CVB. The Platinum Choice Awards recognize excellence in service and amenities among meeting facilities in the U.S., Canada, Mexico and the Caribbean. The New Orleans CVB set exemplary standards in various categories, including ambiance, amenities, resources, guest services, meeting space and packages, recreation and dining. Stephen Perry, President & CEO of the New Orleans CVB, was honored by Irvin Mayfield's Jazz Playhouse with a Martin Luther King, Jr. Jazz Award. The Martin Luther King, Jr. Jazz Award honors individuals who have contributed to enriching their community, advancing cultural awareness through music and art, and furthering economic opportunity while adhering to the principles of non-violence, January 15, 2012. The Wall Street Journal's Marketwatch released its 2011 "Best Cities for Business" list, a survey analyzing 102 metro areas in the country. This year, Greater New Orleans was named the number one most improved market for business in the United States rising 44 positions, from 77 in 2010 to 33 in 2011, December 2011. Frequent travelers in the Travel + Leisure magazine 2011 America's Favorite Cities survey voted New Orleans as the number one destination for live music/concerts and bands, wild weekends, cocktail hour, singles/bar scene, fine-dining restaurants, friendliest people, cafes, antique stores, flea markets and people-watching. T+L also found that New Orleanians are most proud of their city compared to residents of the other 34 cities in the survey. Under30CEO named New Orleans number one on the list of Top 10 Cities for Young Entrepreneurs 2011, October 2011. New Orleans was listed as a top food and wine destination in TripAdvisor Travelers' Choice Awards, October 10, 2011. Bleacher Report named New Orleans the "Best NFL City to Party In," October 2011. New Orleans received a bronze designation as a Bicycle Friendly Community from the League of American Bicyclists, September 2011. New Orleans was named a top five budget-friendly vacation destination by GayTravel.com, August 2011. New Orleans ranked number three on TripAdvisor's® inaugural TripIndex, a cost comparison of 15 hotspots in the United States, making the city one of the top domestic deal destinations in the country, July 25, 2011. New Orleans ranked number six among cities in the United States and Canada according to the results of the Travel + Leisure World's Best Awards readers' survey. New Orleans moves up from its number seven ranking on last year's list, July 2011. AAA South Magazine readers named New Orleans: Best large city for a weekend, Best Guys Getaway, Best Girls' Getaway, Best Small Hotel--Columns Hotel, Best Museum of Art-New Orleans Museum of Art, Best Restored Hotel--Roosevelt Hotel, Best Fine Dining--Commander's Palace, Best Arts and Crafts Fest--Jazz and Heritage Festival, June 2011. New Orleans ranked second on Priceline's list of the top 50 destinations for July 4, 2011, June 2011. Shutterfly.com named New Orleans one of the "Ten Most Joyous Cities in the US," June 2011. New Orleans was chosen as a "Best Day Trip" destination in FestivalSouth's 2011 Best of the Pine Belt awards, June 2011. New Orleans ranked seventh in TripAdvisor's Travelers' Choice 2011 Best Destinations, May 2011. Rent.com chose New Orleans as one of the "Top Ten Cities for Single Men," May 2011. Travel + Leisure's online report named New Orleans' Garden District as one of America's Most Beautiful Landmarks, April 2011. Travel + Leisure Magazine named City Park of New Orleans among 12 of "America's Coolest City Parks," April 2011. Forbes named New Orleans the number one city in the country for "Brain Gain," noting that the city gained roughly 36,666 residents with college degrees within the past two years, February 2011. New Orleans was named one of the 10 Best Cities to Hold a Business Meeting by Globe and Mail, January 2011. AOL Travel named New Orleans a top budget Destination for 2011, January 2011. The New Orleans CVB was recognized by its customers as one of the top five CVBs in the world with the prominent Gold Service Elite Award for 2011 from Meetings and Conventions Magazine. The New Orleans CVB has received the Gold Service Award every year since 1984, and since the Elite award was introduced in 2001, the New Orleans CVB has been selected as Elite seven times in 2001, 2002, 2003, 2005, 2006, 2008 and 2011. Association Conventions and Facilities Magazine, 2011 Distinctive Achievement Awards. Corporate & Incentive Travel Magazine, 2011 Award of Excellence. Marketing Award of Excellence in Advertising from the New Orleans chapter of the American Marketing Association, New Orleans CVB and New Orleans Tourism Marketing Corporation's 2010 shared print campaign, June 9, 2011. Winner of Public Relations Society of America (PRSA) Big Apple Award, Crisis Communications, Non-Profit Organizations, for work to combat misperceptions regarding New Orleans travel following the BP Oil Spill, May 2011. PR Week Magazine's Crisis Management Campaign of the Year, one of five national finalists for a 2010 Public Relations Campaign, March 2011. Winner of Successful Meetings' 2011 PINNACLE Award. This marks the 20th time the New Orleans CVB was chosen for this honor, January 2011. Hospitality Sales and Marketing Association International (HSMAI) Adrian Award, Gold, for a 2010 Public Relations Campaign, January 2011. HSMAI Adrian Award, Silver (2) for two 2010 Public Relations Campaigns, January 2011. New Orleans CVB VP of Communications and Public Relations Kelly Schulz named one of HSMAI's 2010 "Top 25 Most Extraordinary Minds in Sales and Marketing", January 2011. Readers of Country Roads Magazine named New Orleans the best "Weekend Getaway" in the magazine's annual Favorite Things survey, December 2010. 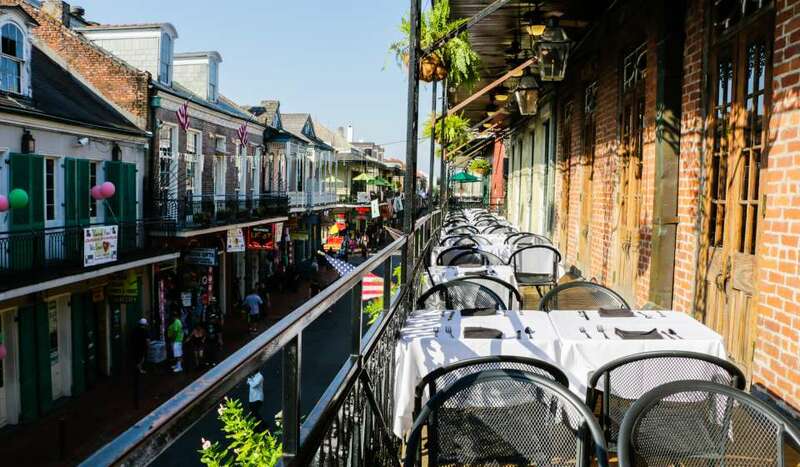 New Orleans was named the most affordable dining city in the US by Zagat. Travel + Leisure (T+L) announced that New Orleans was voted the number one urban destination in the country for New Year's Eve, Neighborhood Joints and Cafés, People-Watching, Singles/Bar Scene, Cocktail Hour and the overall category of Nightlife in the 2010 America's Favorite Cities survey. The American Bus Association selected the Satchmo Summerfest as one of the best events to experience via motorcoach in 2011, September 2010. Bing Travel, an airfare prediction website and search engine, named New Orleans one of the 15 "Coolest North American Cities," August 2010. Ranked number one on Travel + Leisure's list of America's Best Cities for Singles, July 2010. Travel + Leisure, ranked seventh on top 10 cities list for the first time since Hurricane Katrina, July 2010. AAA Southern Traveler, Favorite Large City for a Weekend Getaway, Summer 2010. ESPYS, July 14, 2010, New Orleans Saints, Best Team and New Orleans Saints quarterback Drew Brees, Best Male Athlete, Best NFL Player and Best Championship Performance. WalletPop.com (5,000,000+ visitors per month), named one of the top 10 cities for hotels and vacations, 2010. TripAdvisor® Travelers' Choice Awards, Winner of Best Destination in the U.S. and World for Nightlife, May 4, 2010. TripAdvisor® Travelers' Choice Awards, Third Best Destination in the U.S for Great Food and Wine, May 4, 2010. TripAdvisor® Travelers' Choice Awards, Fourth Best Destination in the World for Great Food and Wine, May 4, 2010. TripAdvisor® Travelers' Choice Awards, Ninth Best Destination in the U. S. for Culture & Sightseeing, May 4, 2010. TripAdvisor® Travelers' Choice Awards, 15th Best Destination in the U.S. for Top 25 Destinations, May 4, 2010. Meetings and Conventions magazine subscribers and meeting planners awarded the New Orleans CVB with the 2010 Gold Service Award, voting the New Orleans CVB as one of the best convention and visitors bureaus in the world, August 2010. Subscribers of Insurance & Financial Meetings Management voted the New Orleans CVB as the recipient of the magazine's World Class Award, recognizing CVBs for outstanding service, July 2010. Professional Convention Management Association, Spirit Award, recognizing an organization that has significantly affected lives in a charitable or humanitarian way through the meetings and convention industry, presented January 2010. Stephen Perry, Steve Kemble Leadership Award, January 2010. Destination Marketing Accreditation Program, DMAP, an international accreditation program developed by the Washington, D.C.-based Destination Marketing Association International (DMAI). In earning the DMAP accreditation, destination marketing organizations (DMOs) communicate to their community, buyers and potential visitors that their DMO has attained a significant measure of excellence, December 2009. Donna Karl, CMP, Top Eco-Leaders, Tradeshow Week Magazine, October 2009. Tweet Elite: one of the top-five CVBs in the nation to market the destination via Twitter, New York-based Development Counsellors International's survey, July 2009. Stephen Perry, Top 25 CVB Executives, Tradeshow Week Magazine, July 2009. Award of Merit from the New Orleans chapter of PRSA, "Great Ideas" category, 2009. First Place, North American Travel Journalists Association, for a Dallas Morning News feature story, 2009. PR Week Magazine, CVB was selected among all travel industry organizations for a cover story and photo; case study profiled our post-Katrina PR strategies, March 2009. Association Conventions and Facilities Magazine, 2009 Distinctive Achievement Awards. Association Meetings Magazine, 2009 Inner Circle Award. Insurance and Financial Meetings Management Magazine, 2009 World Class Award. Facilities and Destinations Magazine, 2009 Top Destination Award. Hospitality Sales and Marketing Association International (HSMAI) 2009 Silver Award Public Relations. HSMAI 2009, Bronze Award, Public Relations (2). HSMAI 2008, Gold Award, Feature Placement Print - Consumer Newspaper. HSMAI 2008, Silver Award, Re-Launch of Existing Product. HSMAI 2008, Bronze Award, Feature Placement category - Radio. PRSA, New York Chapter Big Apple Awards for excellence in public relations, Honorable Mention, 2008. PRSA, New Orleans Chapter Award of Merit 2008 for re-imaging the city post-Katrina. Shop America SASI Awards 2008, 24nola.com and Forever New Orleans ad campaign. Association Conventions and Facilities Magazine, 2008 Distinctive Achievement Awards. Meetings & Conventions Gold Service ELITE Award, 2008. HSMAI Adrian Award 2007, Best in Show, 24nola.com. HSMAI Adrian Award 2007, Silver Award, Forever New Orleans ad campaign. HSMAI Adrian Award 2007, Gold Award, Public Relations. HSMAI Adrian Award 2007, Bronze Award, Public Relations. Successful Meetings Magazine, 2007 Pinnacle Award for being one of the best CVBs in America. Corporate & Incentive Travel Magazine, 2007 Award of Excellence.